Just bought a used BCS 730..
My Howards were useless (well, they worked up to a degree..) so I've splashed out on a used BCS 730 I saw on fleaBay. It came with a sickle cutter and a shredder/chipper as well as the rotavator box. 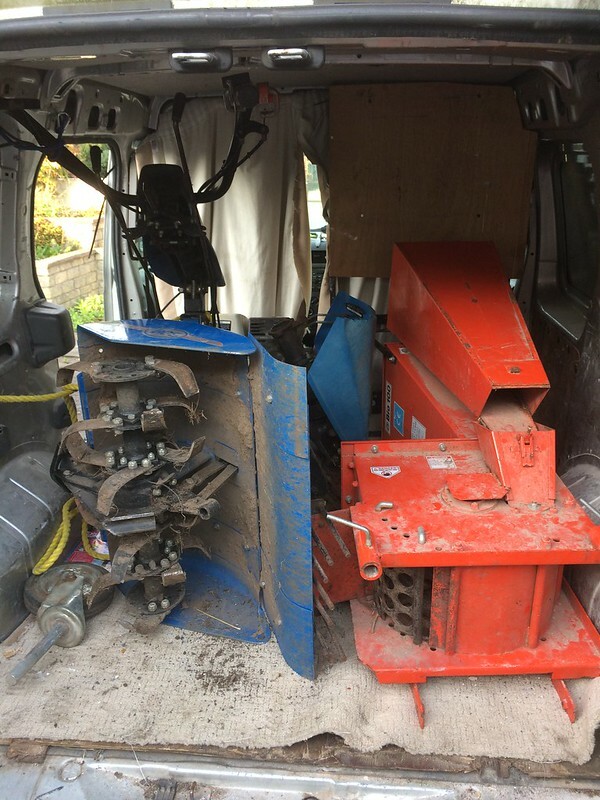 The shredder needs a new style coupler fitting (was supplied) and the PTO lever won't turn round which is a common problem as it's seized from lack of use. 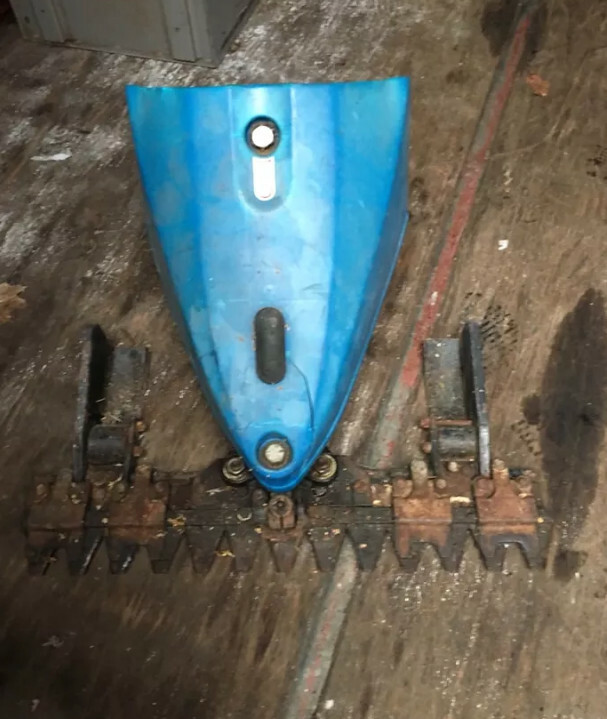 I've just ordered a trailed ridger and some quick couplers so I can change the rotavator box or take it off if it's too wide to get through my gate. The tines are nearly new, and I was told he'd on;y used it for a few hours or so. Most of the ones I'd seen for sale were pretty worn so I'm chuffed with this. Although the shredder weighs a ton, so that'll be fun when I finally get it fixed. Though it'll be worth it to chew through all the bloomin' brambles etc. Hopefully my ridger will arrive soon so I can get on the plot and put my spuds in. Got loads of green manure to plough in that's seeded from last time. The Howard 220 was better than the Bantam in that the engine lift mechanism was better, but it wasn't great as it was worn.. 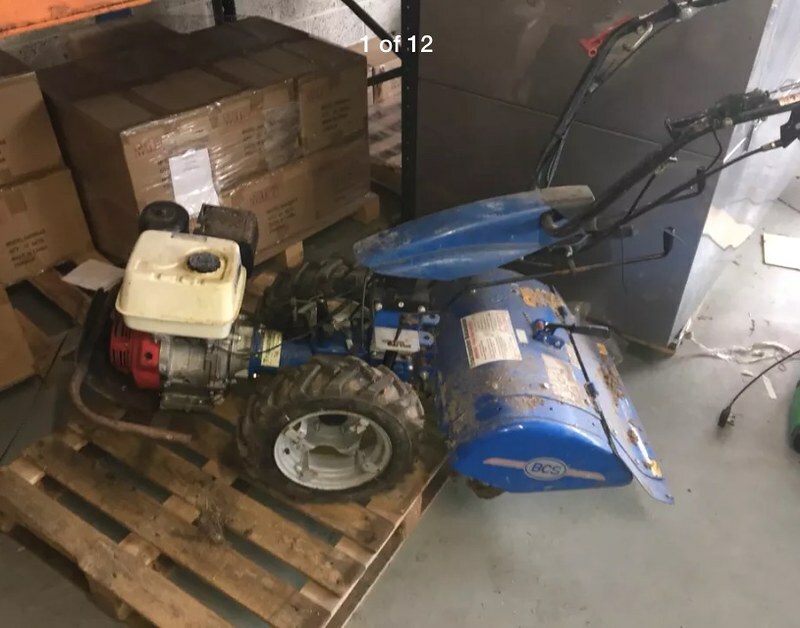 The BCS is direct drive (with a clutch) and is 9hp compared to the 5hp 220 (which was due to the engine I put on, the Aspera was rubbish)..
guess what ive just bought. Page created in 0.212 seconds with 36 queries.